Established in 1910 by S. Duncan Black and Alonzo G. Decker, Black & Decker received the world’s first patent for a portable power tool — “the first portable electric drill with pistol grip and trigger switch” to be specific — in 1917 and has since become one of the most well-known power tool manufacturers in the U.S. and possibly around the world offering “power tools, accessories, outdoor yard care equipment, home cleaning products, automotive and lighting products, hardware and other home improvement products”. 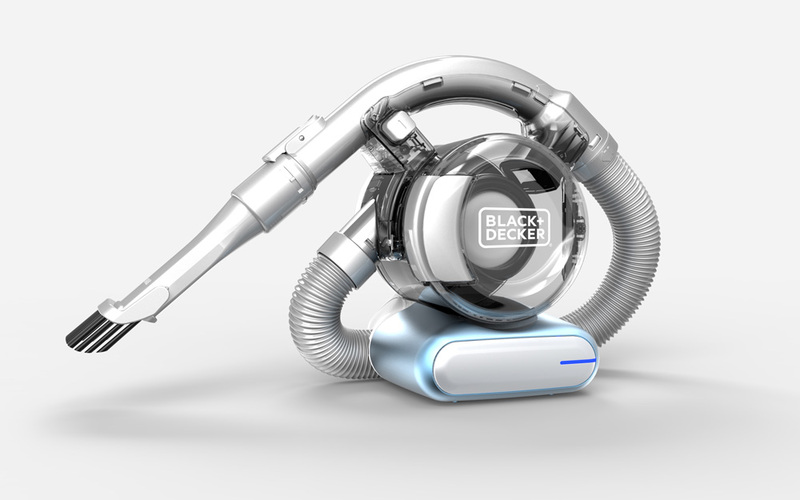 Yesterday, Black & Decker introduced a new logo and identity — plus new spelling as Black+Decker — designed by New York, NY-based Lippincott. In June of 2013, Lippincott also redesigned Stanley, Black+Decker’s sister company. Reported here. The hexagonal nut logo has been in use since 1921 and modified in 1926, 1960, 1984, and 2000 (header image above, notice the lesser amount of stripes). In 2013, Stanley Black & Decker engaged Lippincott to help redefine their brand. We outlined clear — and demanding — objectives for the brand strategy and design: the brand would need to be fundamentally human, to reflect BLACK + DECKER’s ability to transform a daunting task into a feeling of accomplishment. It would need to be simple, evoking a past and future of intuitive, human-centric design, while still being meaningfully different and modern. Before and after design of product and packaging. The rounded holding shape evokes the brand’s once iconic product plaques. The minimalist design speaks to their intuitive products and experience while appealing universally across geographic borders. The stark assertiveness of the packaging celebrates the brand’s power while allowing for design flexibility, most obviously across categories, from BLACK + DECKER’s iconic black and orange, to a softer, more versatile white and gray palette. It’s not easy letting go of an iconic brand and Black+Decker’s nut icon and condensed serif surely was one — possibly underrated in contrast to other large consumer brands. The only aspect that remains of the old logo is the justified stacking of the name, except that now it comes in a more standard-looking typeface and inside a rounded-corner stroke. It’s not a bad logo and it’s properly executed but, in terms of power-tool-ness, it lacks torque. The logo looks softer, perhaps to take off the edge of intimidation that most power tools have for the average person that can barely screw in a lightbulb (i.e., me) and it does succeed in creating a more personable identity, rather than an overtly macho identity like the old logo did. Sample use of logo on products. Nonetheless, Black+Decker still sells powerful-looking tools — I mean, look at that saw. So even if you put a logo typeset in Zapfino on it, it would still look like that simply by turning it on it would put hair on your chest. The new logo works well on the product, particularly on the drill where it feels like it was born to play that role. The new packaging is odd. It’s too neutral, even more so in the orange- and black-less applications but the simplicity might stand out in the crowded and overly loud home improvement shelves. Overall, it’s an interesting redesign that really changes the attitude buy perception of the brand and you have to wonder if in five or seven years somebody asks this to be butched up some. Established in 1910 by S. Duncan Black and Alonzo G. Decker, Black & Decker received the world's first patent for a portable power tool — \"the first portable electric drill with pistol grip and trigger switch\" to be specific — in 1917 and has since become one of the most well-known power tool manufacturers in the U.S. and possibly around the world offering \"power tools, accessories, outdoor yard care equipment, home cleaning products, automotive and lighting products, hardware and other home improvement products\". 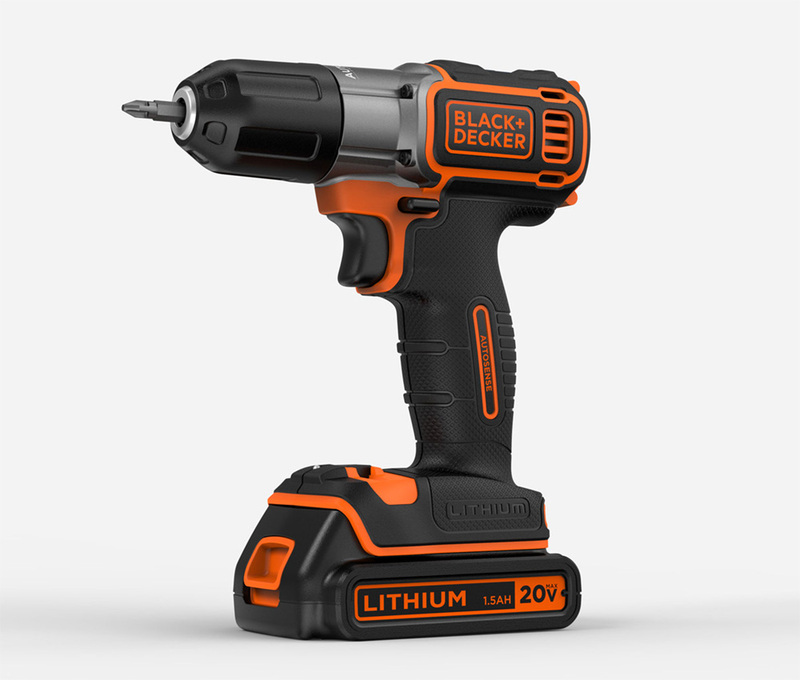 Yesterday, Black & Decker introduced a new logo and identity — plus new spelling as Black+Decker — designed by New York, NY-based Lippincott. In June of 2013, Lippincott also redesigned Stanley, Black+Decker's sister company. Reported here.